Researchers say they've uncovered for the first time concrete, empirical evidence linking foreign investment to real estate prices in Vancouver. Researchers in British Columbia say they've found empirical evidence linking immigration to real estate prices for the first time. A study spearheaded by business professor Andrey Pavlov of Simon Fraser University looked at a now-defunct federal program designed to entice investor immigrants to Canada and the impact its suspension had on the housing market in neighbourhoods popular with newcomers. Communities favoured by Chinese immigrants in Vancouver saw a drop in housing prices over about a year relative to the overall housing market after the termination of the Canadian Immigrant Investment Program in 2014, Pavlov said. "This is as good evidence as we can get on the impact of foreign ownership on the real estate market. And the conclusion is: yes, there is an impact," Pavlov said in an interview. "It's sort of intuitive and common sense, but in my view up until now we have not had direct evidence that this is the case." 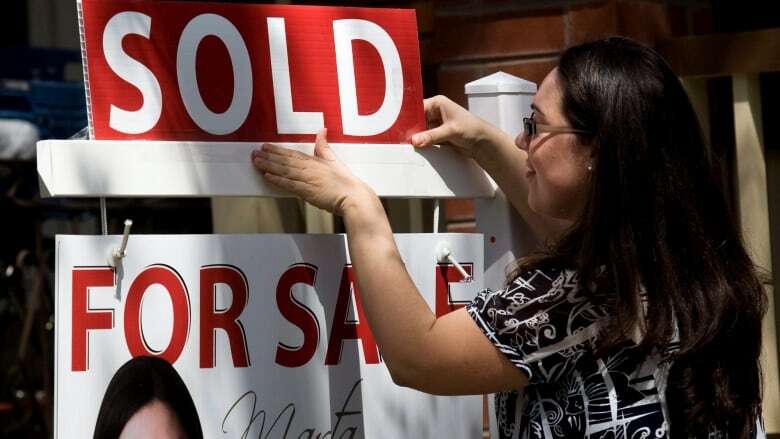 Housing affordability is a hot topic across the Lower Mainland as its notoriously overheated real estate market continues to surge, pushing the average price of a single-detached home in Vancouver to $1.5 million. While the study zeroed in on spending made by new arrivals to Canada, Pavlov argued foreign investment has the same impact, despite the difficulty in separating the two for research purposes. "People and money tend to go together when it comes to real estate," Pavlov said. "So I don't know if it matters all that much whether we can or cannot say which one it is." Tsur Somerville, a business professor at the University of British Columbia who collaborated on the study, was more hesitant about treating foreign money and immigrant investment as one and the same. "The foreign capital is by connection. We're looking at immigrants who have wealth. So therefore they come with capital. But it's not foreign capital separate from immigrants," he said. "Since we don't really actually measure the foreign money, it's kind of really hard to test that." Still, Somerville said the argument that the two can be treated similarly is bolstered by the fact that higher-end neighbourhoods were more affected by the cancellation of the federal immigration program than lower-end areas. "That, I think, is consistent with this [foreign] capital story rather than just people." Another conclusion from the study is that the so-called spillover effect of foreign investment, that housing price changes in areas popular with immigrants bleed into surrounding communities, isn't necessarily as big as people have speculated, he added. Somerville described the study as "a very small piece of a large puzzle."